The Most Australian Keto Vegemite and Cheese Scones! Does it get anymore Australian than Vegemite and cheese? 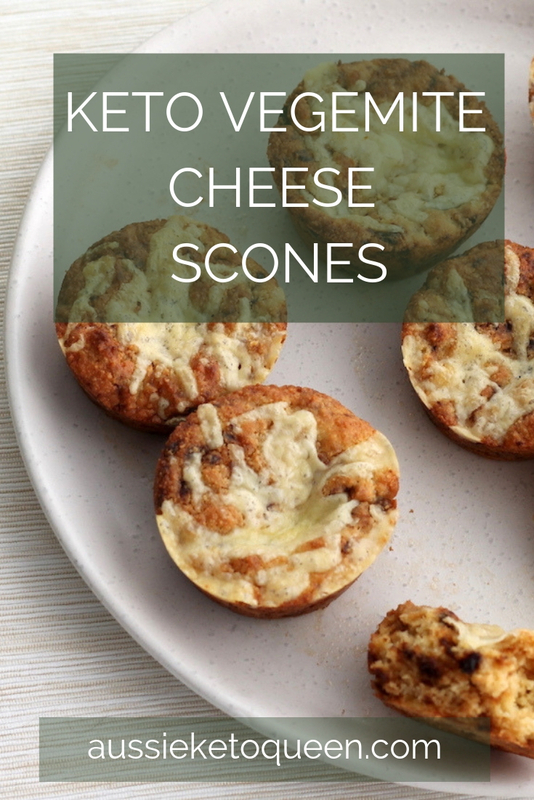 How about Keto Vegemite and Cheese Scones? It’s a flavour combination I have really been missing after going keto, because I can’t seem to find the right bread recipe to really get some toast happening. 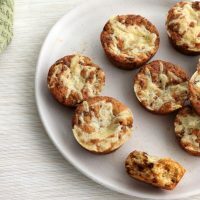 Keto Vegemite and Cheese Scones really scratched that itch for me, so I hope they do the same for you! 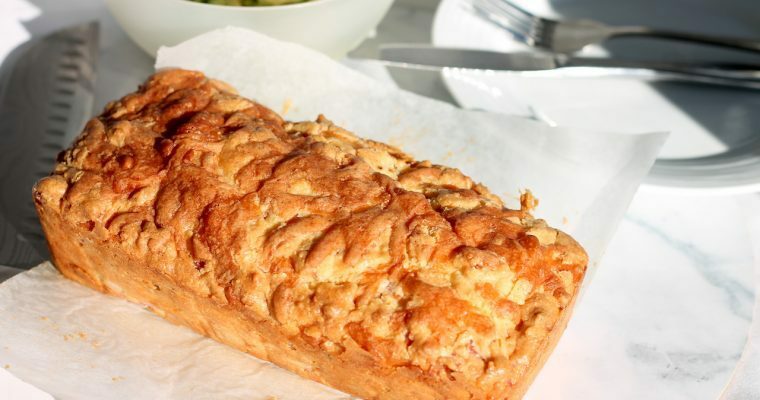 My aim with this recipe was to combine the wonderful bitter Vegemite taste with gooey cheese and some melted butter, without going through the hassle of making one of those 8 – 10 egg loaves of bread that most keto recipes recommend. 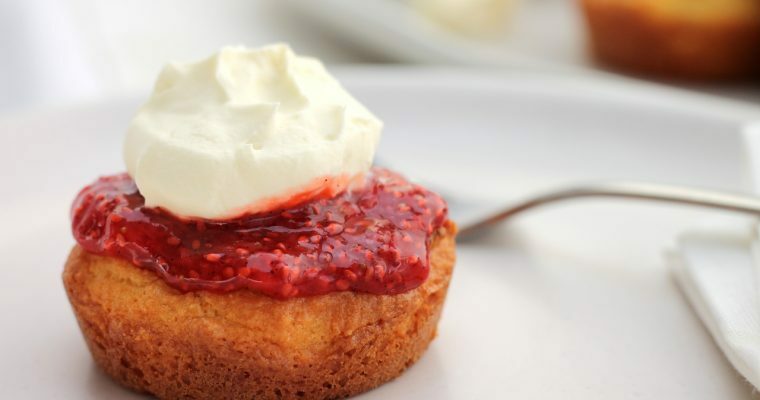 For my non-Australian Keto lovers, please give this recipe a go! At least next time you meet an Aussie and they ask if you have tried vegemite, you can give a definitive answer. And hopefully that answer will be YES! The B vitamins (thiamin B1, riboflavin B2, niacin B3 and folate) in VEGEMITE help to provide vitality and energy to help get your day started. Thiamin is essential for brain function, Riboflavin supports your nervous system, Niacin is essential for energy release and Folate helps to fight fatigue. 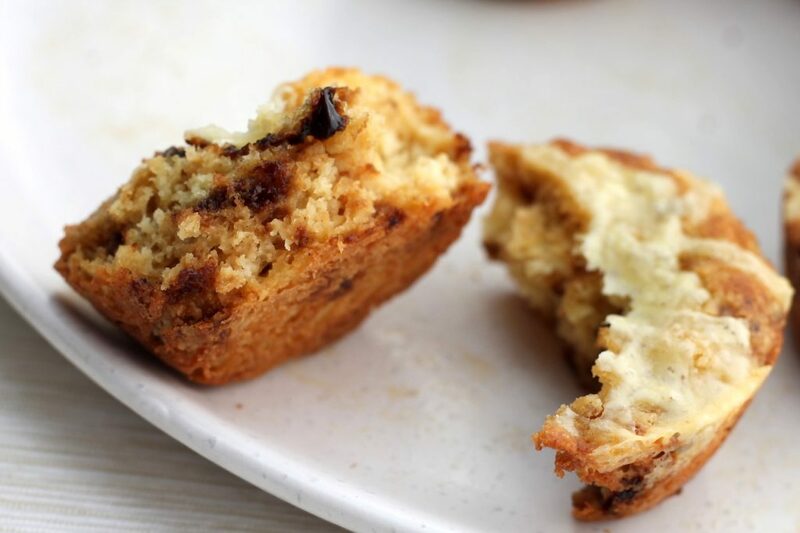 Consider yourself a true-blue fair dinkum Aussie once you make these Keto Vegemite and Cheese Scones! 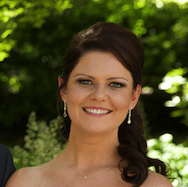 I use Australian Tasty Cheese to get that really cheese, savoury taste but you can use whatever you have on hand. I’ve even tried it with mozzarella before, and while it was yummy, it wasn’t quite as good as the tasty cheese option. I hope you enjoy these, and make sure you leave a rating below! A delicious, quick savoury snack, perfect reheated for a simple breakfast all week long. 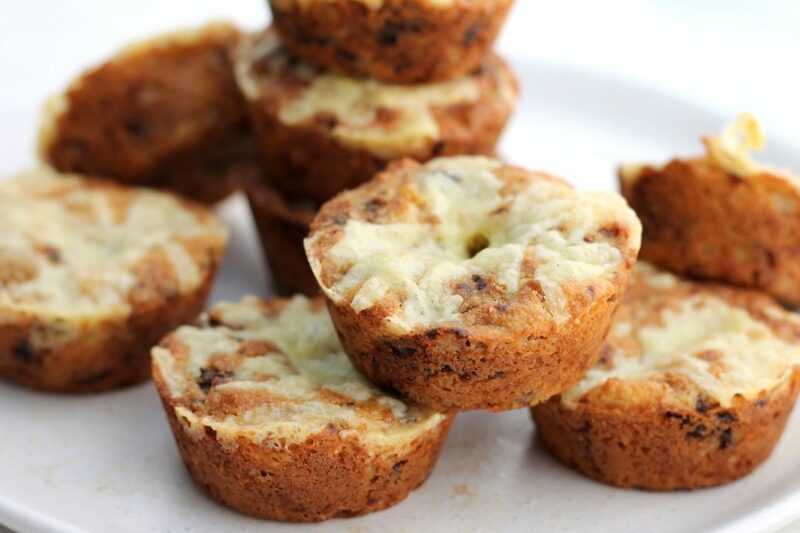 These Keto Vegemite and Cheese Scones will have you going back for more! 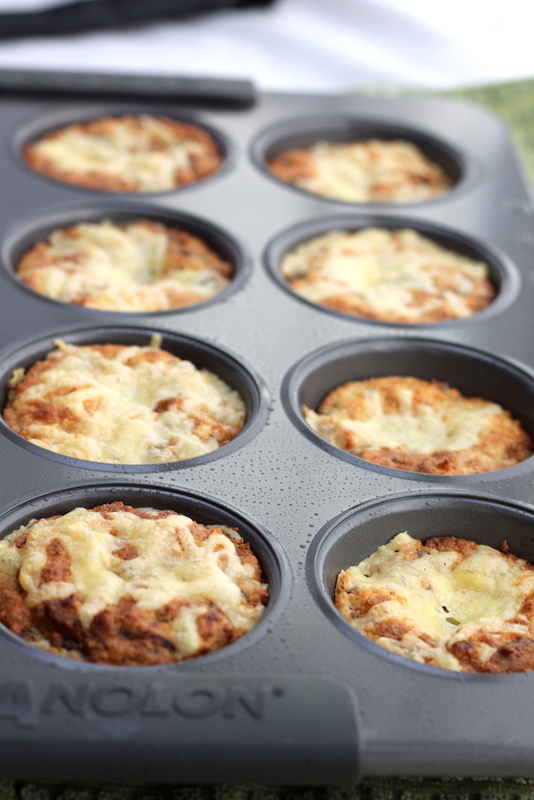 Preheat the oven to 200C / 392F and spray a 12 cup muffin tin with olive oil spray or grease with butter. You can also use a silicone muffin tray. In a large mixing bowl, combing the almond flour, salt and baking powder evenly, breaking up any lumps. In a small microwaveable bowl, put the vegemite and butter and microwave for 20 - 45 seconds until melted. Stir to combine, but it's ok to leave it a bit uneven as this gets the 'vegemite on toast' effect by having some thicker bits of vegemite. In a separate small bowl, whisk together the sour cream and eggs. It may be a little lumpy initially, but keep whisking until it is evenly combined. Mix the dry flour mixture with the two wet mixtures and 1/2 cup of the grated cheese. 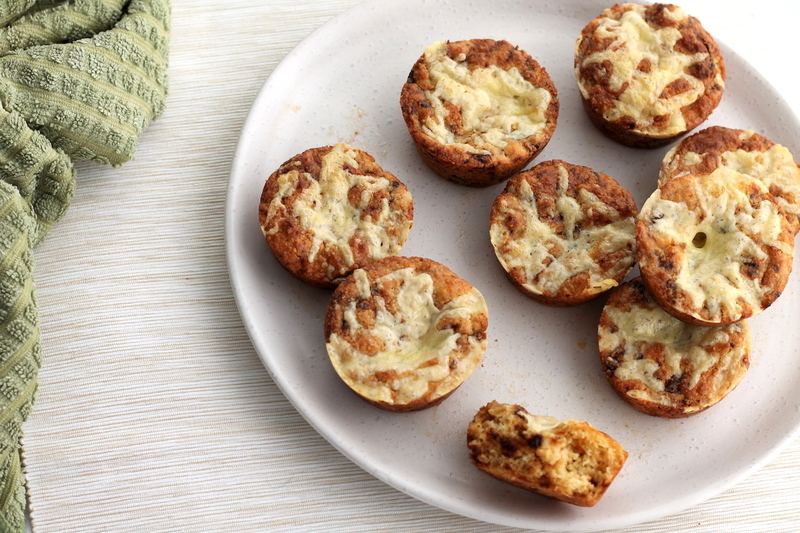 Spoon evenly into the muffin tin, and place a small spoon of the remaining grated cheese on top of each scone. Bake for 12 - 14 minutes until browned and cheese is melted. Serve warm with extra butter on top. These were so good! Definitely sated my vegemite cravings. I actually enjoyed them more cold ; when refrigerated they are the consistency of a delicious, dense almond based cake but savoury! Have you tried with coconut flour instead of the almond meal? Im not sure it would work that well as coconut flour absorbs so much moisture, so you could only use 1/4 of the amount and there wouldn’t be enough bulk to spread the vegemite and cheese through. Oh. My. God. Made these today and they were AMAZING!! I did reduce the vegemite ever so slightly, though, and only used 1 teaspoon of baking powder because the 1 tablespoon the recipe called for seemed like way too much for the quantity of flour. They came out tasting just like the vegemite soup my mum used to make when I was little. So good!! They were good but way too salty and I didn’t add the amount of salt the recipe called for, knowing how Vegemite is already salty. In fact I would hold the salt next time and reduce the amount of vegemite too. Also , the recipe says to add the wet ingredients to the dry, and mix, but I would add the egg and sour cream mixture then the butter and swirl through the vegemite rather than mix it in. The amount of baking powder was perfect and made them very light and fluffy.